Our Lift & Slide is truly elegant, architecturally driven and entirely functional. Modern building systems allow for massive openings and Lincoln’s ability to utilize panels up to 5' by 10' fits the design criteria perfectly. Operational concerns? No problem! The "lift" system elevates the panel for simple, easy "slide" action. Walls of patio doors will disappear leaving the extraordinary uninterrupted view you long for. Our Lift & Slide is truly elegant, architecturally driven and entirely functional. Modern building systems allow for massive openings and Lincoln’s ability to utilize panels up to 6' by 10' fits the design criteria perfectly. Operational concerns? No problem! The "lift" system elevates the panel for simple, easy "slide" action. Walls of patio doors will disappear leaving the extraordinary uninterrupted view you long for. 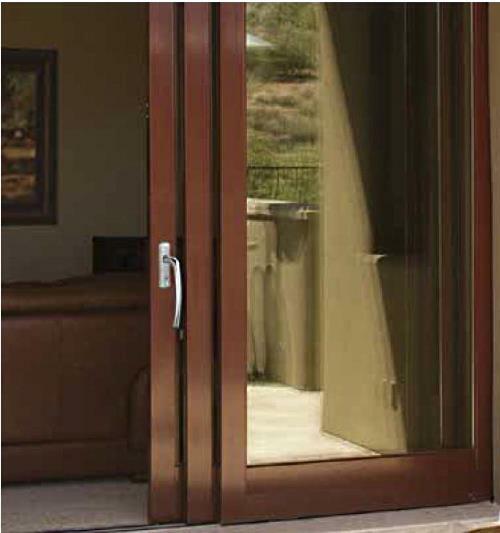 Operate these magnificent doors by turning the lever 180 degrees to “lift” the panel easily up off of the sill track and on to the corrosion resistant carrier hardware. The 'slide' operation is smooth as the glass reinforced nylon rollers glide on a stainless steel track cap. Stacking doors feature non-removable hardware standard and pocketing doors use removable hardware standard. Maximum Panel Width - 6' 0"
Door Panel Thickness - 2 1/4"
Nothing enhances the look and feel of a room more than the richness and beauty of wood. Our standard pine interior is fine for most applications, but if you are looking to really enhance the character of your project, we offer five additional wood species. Lincoln will leave your interior wood surface sanded smooth, ready for stain and sealer. If you plan to paint the interior of your windows and patio doors, you can have them primed with a white factory applied water-based acrylic latex primer. To take things a step further, we also offer a factory applied top-coat of paint. Pre-Finished white or black is intended to be your final coat of paint and reduce jobsite finishing costs. With or without the new square Simulated Divided Lite (SDL) option, utilizing the new square glazing bead style is becoming increasingly popular in the architectural communities. Lincoln's sharper glazing bead profile was designed to flow naturally with the super straight lines featured in modern designs. When installing a window, increasing the depth of the window frame to accommodate the wall thickness is sometimes necessary. 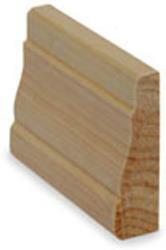 This can easily be accomplished with the use of jamb extensions available in all six wood species. 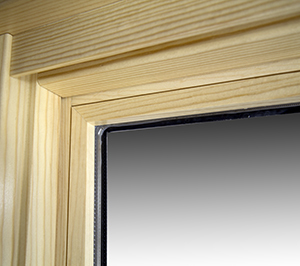 This is an interior trim covering that hides the joinery between mulled window assemblies and is commonly used when purchasing an applied extension jamb. 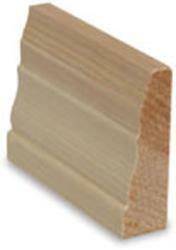 Mull casings are available to match our wood species. 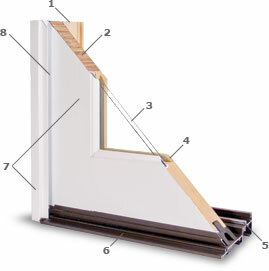 Lincoln offers interior trims in ten profiles. The benefit to our customers is the ability to shape the trim for a radius unit at the time of production. 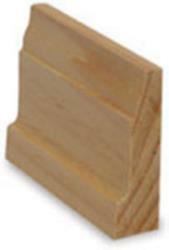 In addition, plinth blocks are available, to facilitate joining radius to straight trim. 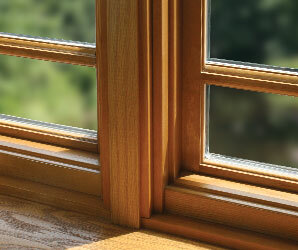 Lincoln offers glazing options with thoughts of energy efficiency and creature comforts alike. Whether your home is in the Sunbelt consisting of long sunny summer days, hot muggy nights and high air conditioning bills or is in the heart of the Midwest with extended periods of below-zero temperatures and high heating bills, sit in your favorite chair, relax and let our manufacturing excellence guide you through our diverse IG offering. 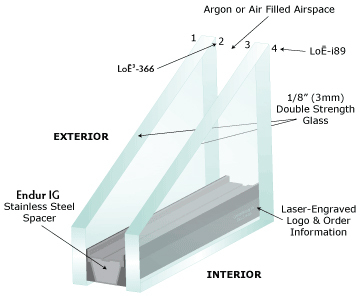 Our insulating glass (IG) is constructed with four major components. It’s the quality of these components, sheet glass, desiccant material, sealants and spacers that set companies apart. Let’s consider the sheet glass. 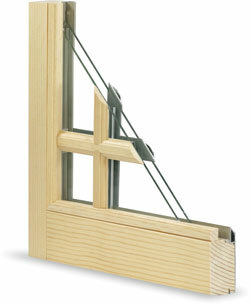 We exclusively utilize double-strength glass even on the smallest sizes. Some companies believe this should be an upgrade while we eliminated the thinner glass option many years ago. Quality desiccant material is used to absorb moisture within the IG unit during assembly and the polyisobutylene sealant provides excellent adhesion to the glass with a low moisture vapor transmission rate for years of outstanding field performance. 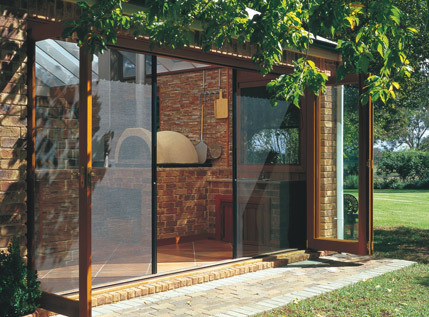 Constructed with a single LoE coating, this glass option is perfect for climates where heat retention is welcome, solar heat gain is paramount and glass clarity is vital. LoE-180™ outperforms clear IG glazing with warmer inside glass temperatures and better UV protection. Projects looking for passive solar glazing solutions including good U-Value performance in conjunction with higher Solar Heat Gain Coefficients experience positive benefits with LoE-180™. Safeguard your home from the elements by using this nearly invisible protection. Consisting of two microscopic layers of silver sealed in the airspace, this glass is a nice step-up from our standard offering. Obtain an affordable balance of U-value, solar shading, visible light transmittance and UV protection by choosing LoĒ²-272®. Our most ecologically aware combination of glass products designed for projects requiring extraordinary energy efficiencies. As the ENERGY STAR® program ratchets up its requirements, our glass offering continues to provide consumers with an ability to comply. Lincoln’s Dual Low-E2 is the next generation insulating glass package that tackles these stricter requirements by combining LoĒ²-272® with a roomside (LoĒ-i89™ is on surface #4) low-e coating. Don’t worry, LoĒ-i89™ performs well without sacrificing glass clarity, doesn’t require special cleaning and provides additional UV protection. This energy efficient glass lowers U-Values and retains more of your costly heat inside for the Northern and North/Central zones. 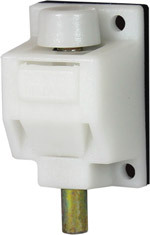 Assembling Dual Low-E2 with our foam spacer system further improves U-value performance. Controlling solar heat gain just became easier with the unparalleled performance of LoĒ³-366™/Neat® glass technology. By adding a third layer of silver coating, LoĒ³-366™/Neat® effectively blocks solar gain and reflects heat more efficiently. In addition to reducing heat gain, the goal with any high performance glazing is clarity. LoĒ³-366™/Neat® was produced to show a minimum of exterior “mirror” reflectance and does not require smoke-colored tints that can darken your home’s interior. Neat® glass refers to the coated exterior surface, the glass on outside of your home. The coatings consist of silicone dioxide and titanium dioxide which make glass smoother. Yes, rest assured that it won’t wipe off. In fact, it is a permanent coating you won’t be able to visually detect. Until you start cleaning your windows!! LoE³-366™ has three-coats of silver that remain very clear so interior spaces don’t seem shaded or tinted. This coating process out performs LoE² by keeping heat from penetrating the glass pack, passing through and collecting in the building. Lincoln’s advanced glass technology is packed with high performance attributes, built-in strength and durable spacer options. Recent revisions and enhancements to the ENERGY STAR® program concerning Solar Heat Gain Coefficients (SHGC) make this glazing option an obvious pick. Consider these other important benefits as well: easy jobsite cleanup with Preserve® Protective Film, less frequent and easier glass cleaning when utilizing Neat® coatings, save on heating costs with great U-Values and experience less fading via superior ultraviolet protection all with good Visual Transmittance characteristics. Choose this energy efficient glass for our best and very low SHGC numbers. LoĒ³-366™ reflects the suns heat energy back outside for more interior comfort in warmer climates and will save you money with lower air conditioning bills during the summer months in the Southern, South Central and North Central ENERGY STAR® zones. Assembling Dual LoĒ³-366™ with our foam spacer system further improves U-value performance. For greater energy efficiency, argon is added to all LoE glass units, at no cost to the customer, with the exception of those units requiring capillary/breather tubes. These units include, but are not limited to, glass 12” and less in width or height and units shipped over high elevations. Lincoln does not guarantee that the initial argon fill rate will be maintained over the life of the product. Argon depletion may decrease energy efficiency. For more information, contact your local distributor or Lincoln Wood Products, Inc.
LoĒ-180™, LoĒ²-272®, LoĒ-i89™, LoĒ³-366™, Neat® and Preserve® are trademarks of Cardinal IG. The ultimate choice in glass plus the benefits of two low maintenance features that will leave your windows clean and protected. Do you want the perfect ending to our glazing story? Be truthful. Be inspired. Be Unique. By definition, our combination of LoĒ³-366™/Neat® and Preserve® really is the best performing glass in the window industry. Pick Neat® and Preserve® to simplify your lifestyle during construction and the years to come. Welcome to shorter jobsite punch lists, less trips with the extension ladder and being the envy of your neighborhood. Welcome to Premium Performance glass from Lincoln. A silicon dioxide layer that makes the glass surface ultra smooth and superhydrophilic so water sheets off leaving fewer spots. Add to that a titanium dioxide layer that reacts with the sun’s UV rays causing organic material on the glass to decompose - no manual activation required. Since the sun and the rain do most of the work, windows stay clean longer and are easier to clean when needed. Super-thin coating applied to the exterior glass surface creates smoother glass that stays cleaner longer and is easier to clean. Rain water disperses quickly with a sheeting affect greatly reducing stubborn water spotting because water evaporates faster. Patented double-sputtering process results in a very durable, permanent and affordable outside coating. Neat® coating chemically react’s with the sun’s UV rays decomposing organic materials that are rinsed away with rain water. 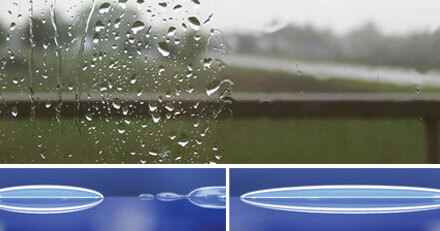 Water beads higher on rough surface of ordinary glass, causing more spots and greater cleaning needs. The smooth surface disperses water evenly, removing dirt more quickly and reducing water spots. Note: Preserve® film coverage on the glass surface has a tolerance of +/- .25"
Neat® and Preserve® are trademarks of Cardinal IG. The majority of projects utilize clear glass, but occasionally a project requires the use of a specialty glass. Whether it be to conceal the view from the exterior of a building, distort the details of objects through the glass or provide an extra level of safety, we have a variety of specialty glasses that will meet your needs. Our specialty glass options include: Laminated, Tempered, Tinted, Spandrel, Turtle, and Patterned. This special glass is produced by bonding a combination of plastic vinyl layers and polyester film between two panes of glass into a single sheet. Sea-Storm® glass looks like ordinary glass, but is designed to pass stringent building requirements in high wind speed areas. It protects like a shield against accidental impact, forced entry, sun damage and unwanted noise. Extensive testing shows that upon impact, broken glass fragments tend to adhere to the durable, bonded plastic vinyl interlayer, reducing the risk of injury and damage. 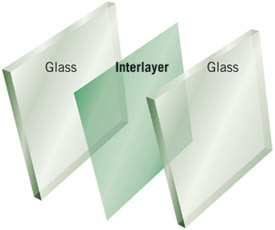 Laminated Glass Construction with .090 PVB Interlayer. Sea-Storm® is a trademark of Cardinal IG. 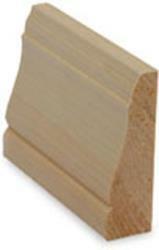 Storm Barricade: Resists impact from air-borne projectiles and debris without the need for storm panels or shutters. Remains integral even after glass breakage and during high/low pressure ‘pumping’. Safety Shield: Is tougher to break. If broken, the vinyl interlayer remains in the frame with glass fragments adhering to it, providing a strong barrier against forced entry. Solar Screen: Offers a clear glass appearance with enhanced protection against fading of furniture, flooring, artwork and other home furnishing. Sound Control: Reduces unwanted outside noise in high traffic areas. Train tracks, airports and heavy highway traffic are less obtrusive. 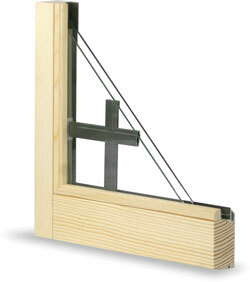 There are not only choices in the glass itself, there’s also variation in glazing. Here is another opportunity to have your windows and doors made to fit the interior design, décor and style of the room. Additionally, the exterior interacts with the overall architecture and creates fantastic curb appeal. Enhancing windows and doors with lite divisions definitely puts the icing on the cake. Although there are standard lite configurations designated for all products, custom designs are also welcome. 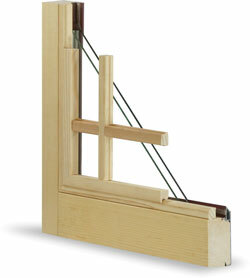 Windows and doors may be enhanced with simulated divided lites. Both the interior wood bars and the exterior aluminum bars are sealed to the glass with 3M adhesives and are available in all of our Standard, Feature, Custom, and Spray-On Anodized colors. Simulated divided lites are available in 5/8”, 7/8”, 1-1/8” and 2” bar widths and are color-matched to the exterior cladding. They may be ordered with mill finish or bronze spacer bars or with no spacer at all. 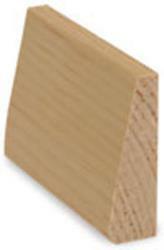 Interior wood grilles are available in single profile widths of 5/8”, 1”, and 1-1/4” and a double profile width of 7/8”. These can be ordered with or without a perimeter surround. Interior grilles offer the convenience of removal for the cleaning of interior glass surfaces. Another unobstructive manner of lite division is the addition of an internal aluminum grille. Inserted at time of insulated glass fabrication, internal aluminum grilles are 11⁄16” double profile and are available in all eight of our standard clad colors. Two-toned grilles are available in all eight standard colors with white always on the other side. A fully integrated retractable insect screen is available for openings up to 24 feet wide and 9 feet high. The load balanced system opens and closes effortlessly and remains firmly in any chosen position until further pressure is applied. The screen is manufactured entirely in stainless steel, brass and reinforced engineering polymers. The tough PVC-coated polyester mesh used in the screen is hard wearing, resistant to damage, easy to clean and can be replaced if necessary. All screens are made-to-order and specially configured for each bi-fold door system. They are available for openings up to 24’ wide x 10’ high and feature load balancing technology for effortless operation while remaining firmly in any chosen position until further pressure is applied. Screens store easily into its own frame when a clear opening is desired. The tough PVC-coated polyester mesh used in the screen is hard wearing, resistant to damage, easy to clean and can be replaced if necessary. Choose a single function or double functioning system where six mesh options are available. 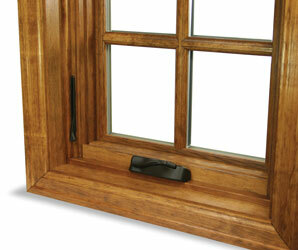 One of the best ways to change or improve the look of a home is to alter the window configuration. 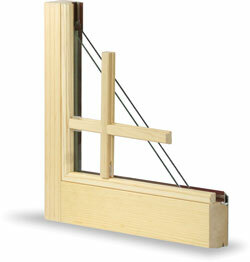 Our vast offering of window styles allows for configurations from traditional to contemporary and everything in between. The samples shown below are just a handful of what's possible. Whether you want a simple studio window combination or are looking to make a statement by combining standard windows with specialty shapes, we can meet your needs.